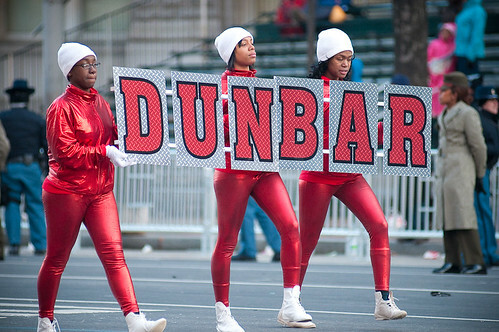 Dunbar High, marching at Obama's Inauguration. BT: Do you have many “What Would Michelle Do” moments? KH: Not many, maybe for two reasons. Michelle and I worked together for a zillion years. In many cases I know what Michelle would do. But the real question is what will Kaya do? Because everything that Michelle does is not what Kaya would do. BT: What’s Kaya done that Michelle probably would not have done? BT: There is the view that philosophically there is no difference between you and Michelle Rhee, that you both believe in the singular importance of teachers as the determinant of success inside the school, and that poverty has been used as an excuse for mediocre education. Is that true? KH: I think we’re philosophically aligned, but we’re two different people. Right? Because we have philosophical alignment doesn’t mean we’re going to do everything the same way. Poverty matters. However, I can’t control poverty. And I have a budget that allows me to deal with kids from sometime in the morning to sometime in the evening. So within the realm of my control I can only do what I’m going do. Kaya Henderson to "smooth things out"